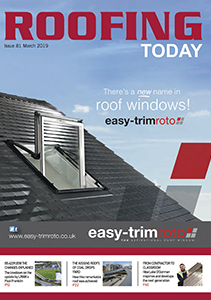 Roofing Today is Britain’s biggest circulation roofing magazine with 9,000 printed copies posted, and 15,000 digital copies emailed, to key, named, decision-makers. Published bi-monthly, and covering roofing industry news, analysis, market trends, best practice, debate and new product solutions, Roofing Today’s excellent reputation is built on up-to-date, comprehensive and authoritative editorial. Readers of Roofing Today are roofing contractors; architects and other specifiers; chartered surveyors, civil engineers, local authority, training and education professionals; housing associations and developers; merchants and distributors and other professionals who are connected to the roofing industry. The Roofing Today Bulletin is emailed weekly to 15,000 readers, keeping them informed of the latest news, products, projects and people in UK roofing. As a regular, trusted and targeted medium, the Bulletin’s opening rates regularly exceed industry bench marks. Founded in 2003, Roofing Today’s team knows the roofing industry well with an accumulated experience of almost half a century! The Roofing Today team greatly value and enjoy its contact with readers and the UK roofing community and always welcome enquiries, feedback and comments. You can ring us, email us or ask us to visit you. All the details to contact us are here. 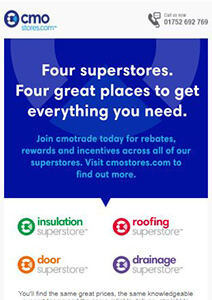 Download the Roofing Today Media Pack 2019 here. Download the Roofing Today Features List 2018 here.